What to do before moving to New Zealand. Moving to New Zealand is a dream come true. However, there are some practical considerations to take into account to keep the dream alive, rather than turning into a logistics nightmare when you arrive in the country. So we’ve put together this quick list of some things to think about and do before moving to New Zealand. Whether you’re moving to New Zealand permanently, or crossing to the other side of the world for a gap year or two, these tips for moving to New Zealand will remind you of some things to add to your “to-do” list before moving overseas. For more advice on getting to New Zealand, see A Beginner’s Guide to Getting to New Zealand. Can you afford to live in New Zealand? Compared to some countries, New Zealand is considered an “expensive” country to live in. 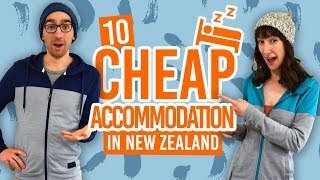 See if this is the case for you by checking out How Expensive is New Zealand in 2018? Never assume that you can get in New Zealand what you are able to get at home. If there are services that you rely on in your every-day life, see if something similar is available in New Zealand. If you’re on medication, can you get it in New Zealand? Check out our How to Get a Medical Prescription in New Zealand for more details. 3. moving for the long-term? Visit first. If you’re only planning to be in New Zealand for a year, then checking out the country first before moving isn’t really necessary. However, if you plan to spend a significant portion of your life here, then it’s really worth checking out there area first before making any life-changing decisions, even if a flight ticket is expensive. Even if you think you’ve done all the research possible, you will never understand the vibe of a place until you visit. When living somewhere for a long time, you’re likely to come across a few situations where you’ll need some personal paperwork. Your passport and drivers license are obvious things to have with you, but if you are, for instance, thinking of applying for residency or other visas while away from home, you will need original copies of your birth certificate. Extra tip: make copies of all your important paperwork and keep them in separate locations to the originals. If you feel uneasy about travelling with original paperwork, then keep them with a trusted person at home. To avoid expensive exchange rates and to make paying for things easier, it’s best to set up your own bank account in New Zealand. Check out how to do that in How to Set Up a New Bank Account in New Zealand. Plus, learn the best ways to transfer money with our How to Transfer Money to Your New Zealand Bank Account. Just as a back-up, we recommend keeping your old bank account open in your home country while you are settling into New Zealand. However, let your bank at home know that you will be overseas for the long-term, as they may flag activity on your account as suspicious and lock your account. Moving house is a great opportunity to clear out unwanted things, but moving abroad… This is a chance to really start again, as shipping vast quantities of things can be pretty darn expensive. Alternatively, if you are only going away on a gap year and intend to return home, then guess what? You’ll probably realise how little you needed all your things once you have lived a year without them. Have a clearout, sell some of your stuff, and you’ll probably benefit a lot more from the money you earn.